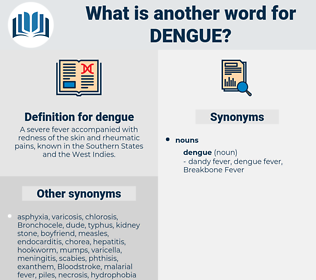 What is another word for dengue? A severe fever accompanied with redness of the skin and rheumatic pains, known in the Southern States and the West Indies. 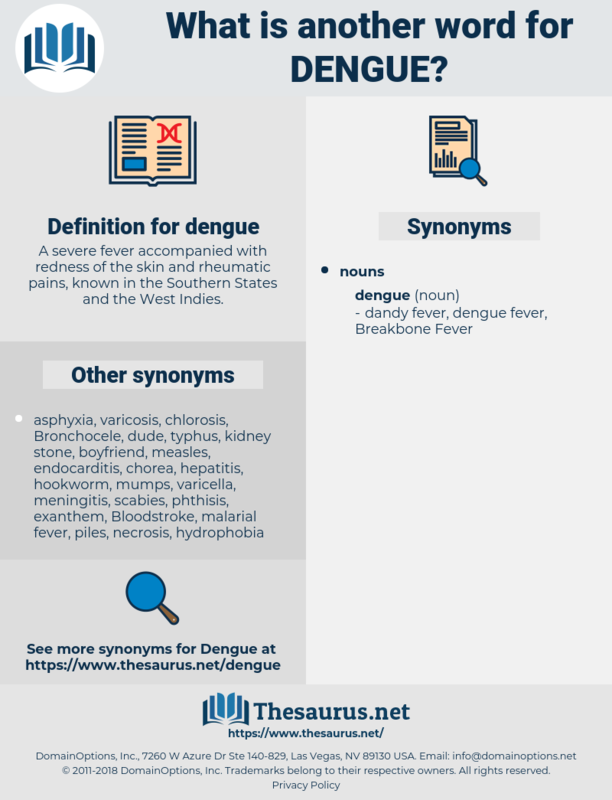 dank, dumuzi, dehumanize, dung, dunnock, dining, demonic, danzig, dinky, danish, demonize, demonise, demeaning, dense, dinghy, dieting, demagogue, damning, dyeing, de-iodinase, doings, dating, dying, death mask, dynamic, DMZ, damascus, Dayton Ax, Den Haag, dae-han-min-gook, demagogy, dimaggio, demagogic, dominic, dynamise, damask, diminish, demoniac, dehumanise, dinge, Dayton Axe, dingo, dunce, domingo, danaus, dawning, dowdiness, donnish, dink, dimash, dynamics, deadness, dionysius, dinka, denounce, dionysia, dynamize, danseuse, dong, dingy, diatomic, downy ash, dimness, dmus, deimos, diatonic, dominick, demise, dumas, dominica, deinonychus, ding, dominos, downiness, dominique, dionysus, Dominicus, deaminize, downy chess, damages, deadening, dance, damage, donkey, data mining, deionize, downing, dominance, dinkey, demagog, dominus, dowding, dunk, dominoes, doting.